Eating disorders are serious and can affect anyone. They can take many different forms and have a significant impact on someone’s health. With treatment recovery is possible. 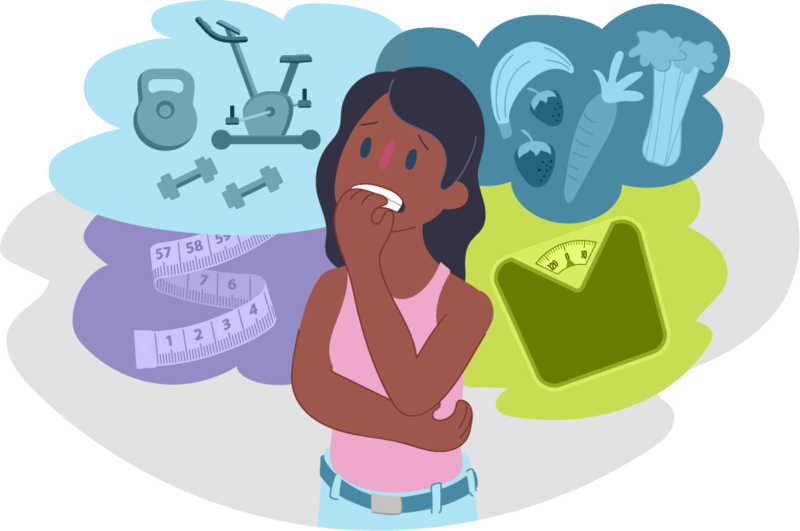 What​ ​is​ ​an​ ​eating​ ​disorder? It’s more than just eating too little or too much. It’s when someone has an unhealthy preoccupation with eating, exercising, or their body size or shape. If you’re concerned about your eating habits, it’s important to seek support as soon as possible. With help you can start to change your relationship with food. 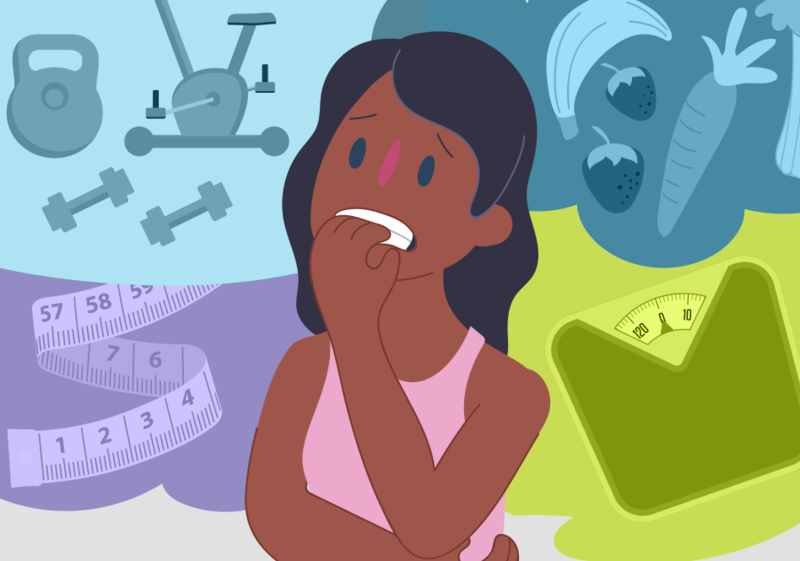 If​ ​you​ ​notice​ ​any​ ​of​ ​these​ ​signs​ ​or​ ​you’re​ concerned about​ ​your​ ​eating​ ​and exercise​ ​habits​ ​–​ ​we’re​ ​here​ ​to​ ​help. Give​ ​us​ ​a​ ​call,​ ​start​ ​a​ ​WebChat​ ​or​ ​email​ ​us​ ​today.